Nigel Dennis has a BSc in Mathematics from Imperial College and a PhD in Transport form the University of Birmingham. He works as a Lecturer and Researcher in the Department of Planning and Transport at the University of Westminster. He has served on many international committees including those of the US Transportation Research Board and the Association for European and has spoken at various conferences. 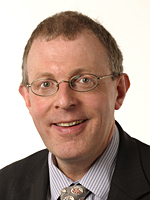 Nigel was born in West Sussex and has been a member of West Sussex County Council since 1993 – with a particular interest in transport issues. He has participated in numerous committees and Task Forces and was the first Chairman of the Horley/Crawley Countryside Management Project. Nigel's leisure interests include reading, walking, travel, food and wine, theatre, family and local history.